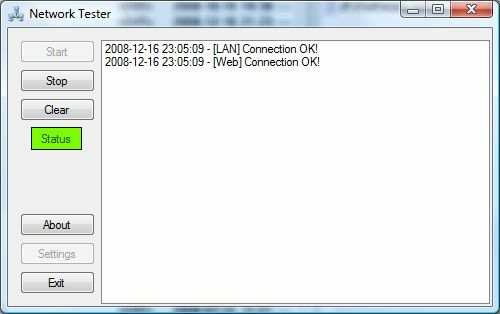 Network Tester is a shareware program for logging and monitoring your internet connection, network or server uptime stability. You can test the connection to a web page, files on a file server or ping an IP number or address at chosen interval. 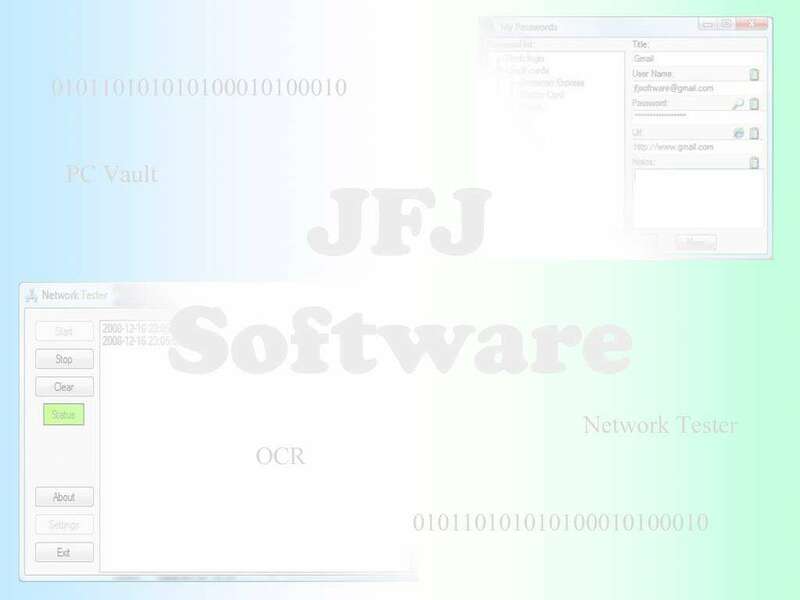 The result is displayed in the application window or in a log file. 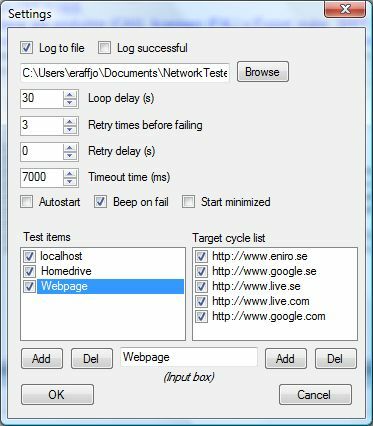 It is also possible to add many targets (web page, ping or file) for each test item which the program cycles (takes the next target for each test). This is to avoid being banned from internet servers and to not get faulty indications of your internet connection, just because the internet server you selected didn't respond at that certain time.